Preheat the oven to 450*. Grease a rimmed baking sheet or line it with parchment paper. In a large bowl, combine olive oil, sesame oil, soy sauce, vinegar and sriracha. Whisk well. 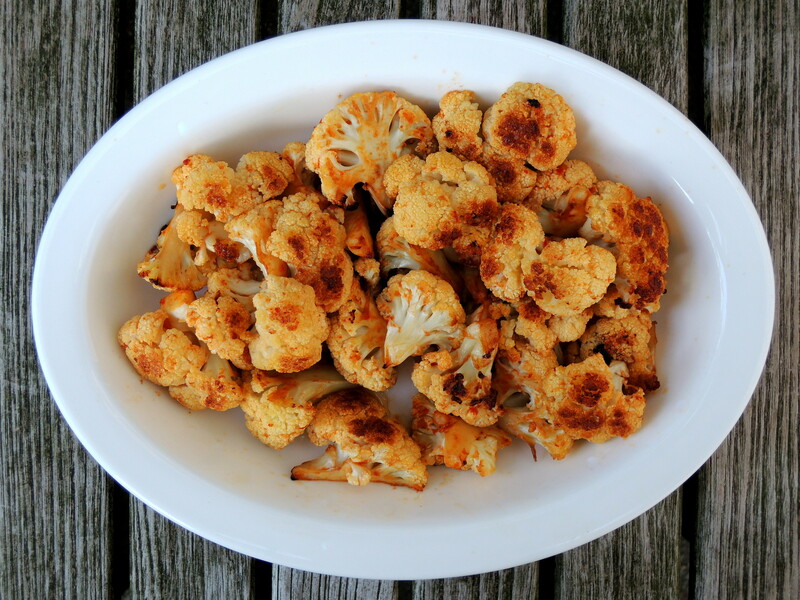 Arrange cauliflower on baking sheet and roast for 10 minutes. 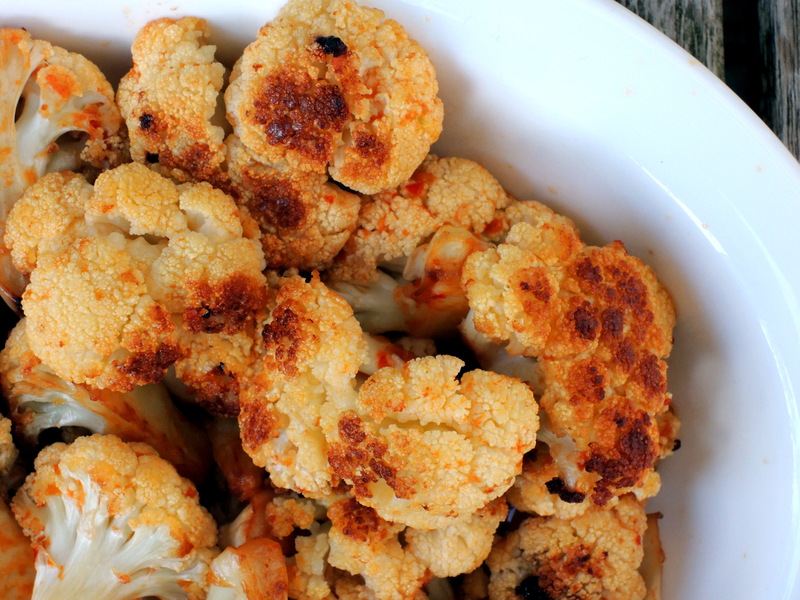 Turn cauliflower over and roast for another 10 to 15 minutes, or until tender.